The new safety features are designed to provide the driver with automatic steering assistance or support – when required – to help avoid potential collisions. “We have been working with collision avoidance systems for many years and we can see how effective they are. In Sweden alone we have seen a decline of around 45 per cent* in rear-end frontal crashes thanks to our collision warning with autobrake system. With the XC60 we are determined to take the next step in reducing avoidable collisions with the addition of steering support and assistance systems,” said Malin Ekholm, Senior Director, Volvo Cars’ Safety Centre. City Safety has been updated in the XC60 to include steering support, which engages when automatic braking alone would not help avoid a potential collision. In such circumstances, the car will provide steering assistance to avoid the obstacle ahead. City Safety helps to avoid collisions with vehicles, pedestrians and large animals. Steering support is active between 50-100 km/h. 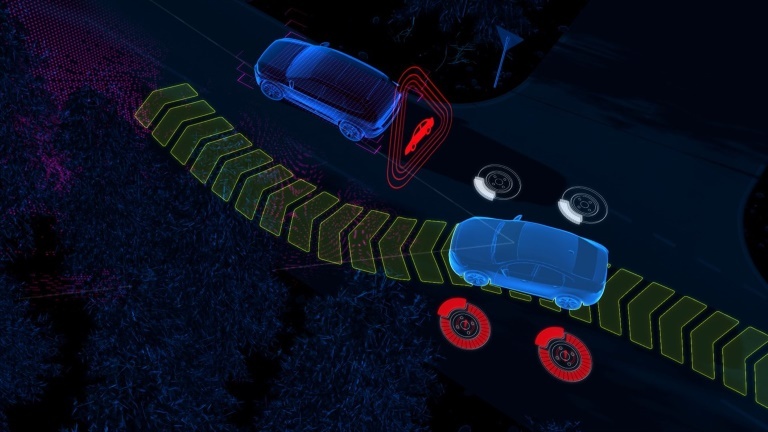 Volvo Cars has also added a system called Oncoming Lane Mitigation, which helps drivers to avoid collisions with vehicles in an oncoming lane. The system works by alerting a driver who has unwittingly wandered out of a driving lane by providing automatic steering assistance, guiding them back into their own lane and out of the path of any oncoming vehicle. This system is active between 60-140 km/h. “All three of these new features represent clear steps in our work towards fully autonomous cars,” added Malin Ekholm. Volvo Cars’ optional Blind Spot Information System, which alerts drivers to the presence of vehicles in their blind spot, has also received an update to include steer assist functionality that helps to avoid potential collisions with vehicles in a blind spot by steering the car back into its own lane and away from danger. “We have all of the benefits of the safety technology we introduced in our larger 90 Series cars in the new XC60. This is fully in-line with our strategic approach to develop automotive safety systems based on real-life, real-road safety. Our vision is that no one will be killed or seriously injured in a new Volvo car by the year 2020,” added Malin Ekholm. The XC60 will deliver a host of high-end safety systems, just like its larger 90 Series siblings, including Large Animal Detection, Run-off Road Mitigation and the semi-autonomous driver support and convenience system Pilot Assist as an option. The new Volvo XC60 will be revealed at the Geneva Motor Show. * Collision Warning with Autobrake is a part of the City Safety system. The 45% reduction in rear-end frontal crashes in Sweden relates to cars equipped with the third generation of this technology.